The Sharp 32" Class HD (720p) Smart LED TV (LC-32Q5230U) gives you access to a world of instant entertainment. Enjoy streaming channels, movies and TV episodes from the comfort of your couch. 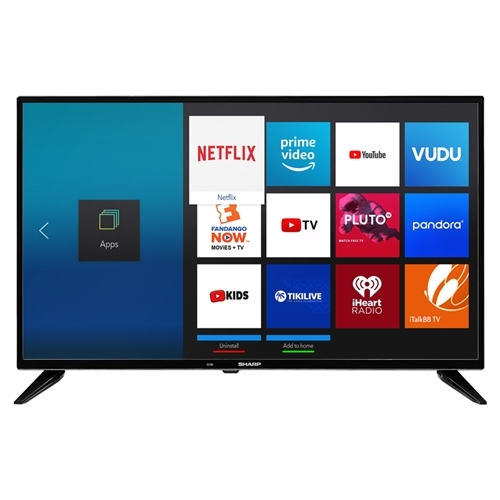 The simple intuitive interface makes it easy to find what you're looking for and the High Definition (HD) resolution gives you more detail then standard definition as you stream content from the Internet. Plenty of ports to connect external devices, and wireless connectivity makes this TV addictive.